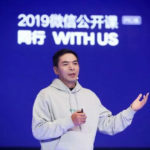 Sogou, owned by Sohu, operates the search engine and others business and offers Internet value-added services with respect to Web games developed by third-party developers. Primary products include search engine, Sogou Pinyin input, and Sogou Web Directory. Sogou is nowhere catching up with Baidu but it is clearly the leader among the rest of Chinese search engines. Some marketers have found it very helpful reaching lower tier cities with lower cost per click advertising on Sogou search. Sogou achieved solid results in Q2 2018 with revenue increasing 43% year-on-year to US$301.4 million and non-GAAP net income up by 58% to US$38.2 million, according to its financial results. That was greatly driven by the twin growth engines – search and mobile keyboard – and AI-focused strategy. One China’s top search engine company, Sogou’s Total revenues were $908.4 million in 2017, a 38% increase from 2016. Sogou, one of the top Chinese search engines, revenues reached US$257 million in Q3 2017, up 55% year-over-year and 22% quarter-over-quarter. Baidu has 78.2% share of China’s mobile search market by the total number of mobile search queries in the first quarter of 2017. Sogou, one of the top three search engines in China after Baidu and Qihoo 360, announced their cooperation with Microsoft Bing with the launch of two new products: Sogou English Search and Sogou Scholar Search. Total revenues of all Chinese search engine companies reached 80.76 billion (US$12.48 billion) in 2015 with an increase of 34.7% according to iResearch.